A key component of America’s Ground-based Midcourse Defense system (GDM), which is supposed to stop ballistic missiles from hitting the United States, has a major flaw with its rocket interceptors. But the Pentagon doesn’t see a problem, and is moving forward to expand it anyway. The Los Angeles Times found that small thrusters attached to the interceptors malfunctioned during a recent test, sending the rocket off course and away from the target it is supposed to hit. The interceptors are critical to directing rockets in the right direction and if they go off course, it could lead to very disastrous consequences—like hitting something other than the warhead it is supposed to strike. The country’s GDM system is the primary line of defense against a ballistic missile attack. The GDM consists of ground-based missiles and a radar that are designed to destroy warheads in space. Say North Korea launches an Intercontinental Ballistic Missile (ICBM) against the U.S., sensors from the GDM would detect the incoming missile, launch an interceptor missile—either from Alaska or California—and destroy it during its midcourse phase before it reenters the earth’s atmosphere. However, this is a very complex process and it showed when issues with the GDM’s thrusters were discovered during a test launch of an interceptor on January 28, 2016 from Vandenberg Air Force Base in California. Scientists were testing the interceptor to determine if a resigned would solve the thruster issue. It didn’t. One of the four interceptors shut down, sending the interceptor off course. But that didn’t stop the U.S. Missile Defense Agency and the GMD contractors it worked with from claiming the test was a success. A review board formed by the missile agency linked the failure to a circuit board that powers the thrusters. The “most likely” explanation, the panel said, was that a “foreign object” in the interceptor’s internal guidance module came loose, fell onto the board and caused a short circuit. The review board did not say what the foreign object was, but government and independent scientists say it could have been a wire fragment, a piece of soldering material or other debris. Of the GMD system’s 37 operational interceptors, 34 are equipped with older circuit boards vulnerable to the same kind of incident, according to missile defense specialists, including former and current government officials. 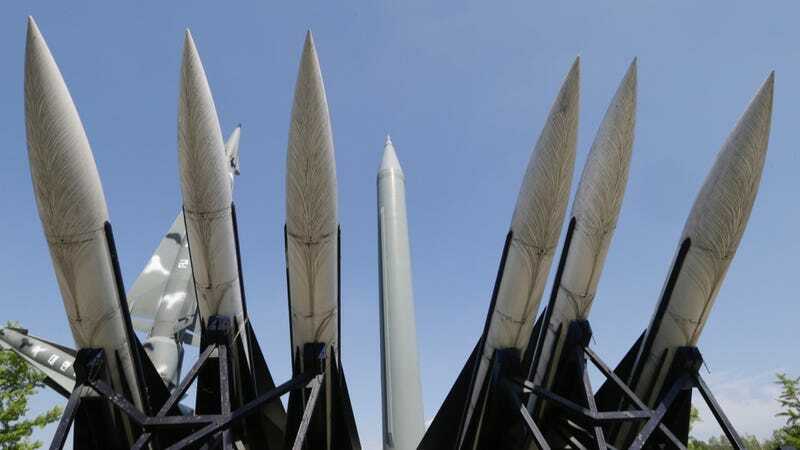 The missile agency is in the midst of expanding GMD to a planned total of 44 interceptors by the end of this year. The 10 newest interceptors will have circuit boards made with “improved manufacturing processes,” an agency spokesman said. One way to address the problem is to protect the circuit boards from tiny objects by spraying them with a thin layer of plastic. A contractor told the Missile Defense Agency about the remedy during a meeting at the agency’s headquarters at Ft. Belvoir, Florida. It is unclear if the agency will include the spraying process on its new interceptors. Missile defense systems are very tricky and the technology to get interceptors to hit their targets head on has never been easy. Given the speed at which an interceptor must take off and the rigors of travel it takes during its flight, it should surprise no one that a key part of the system would shake off somehow. What should trouble the public is the Pentagon’s attempt to cover it up. Tensions arose over how the office would characterize the January 2016 flight test. The missile agency insisted that the report say the redesigned thrusters — technically known as alternate divert thrusters or ADTs — worked flawlessly, and that the mishap stemmed from an unrelated problem with the interceptor’s electronics. In fact, though the thruster itself was not found to be at fault, it needed the circuit board for power and could not function without it. If America’s GMD system isn’t working, we should know. Laura Grego, a physicist who led an in-depth study of GMD published last year by the Union of Concerned Scientists, raised concerns over why the Missile Defense Agency was not holding off expansion of the system. Or, better yet, the Pentagon needs to acknowledge that shooting down a missile traveling 15,000 miles per hour is not an easy enterprise and go back to the drawing board. It might as well. The cat’s out of the bag.